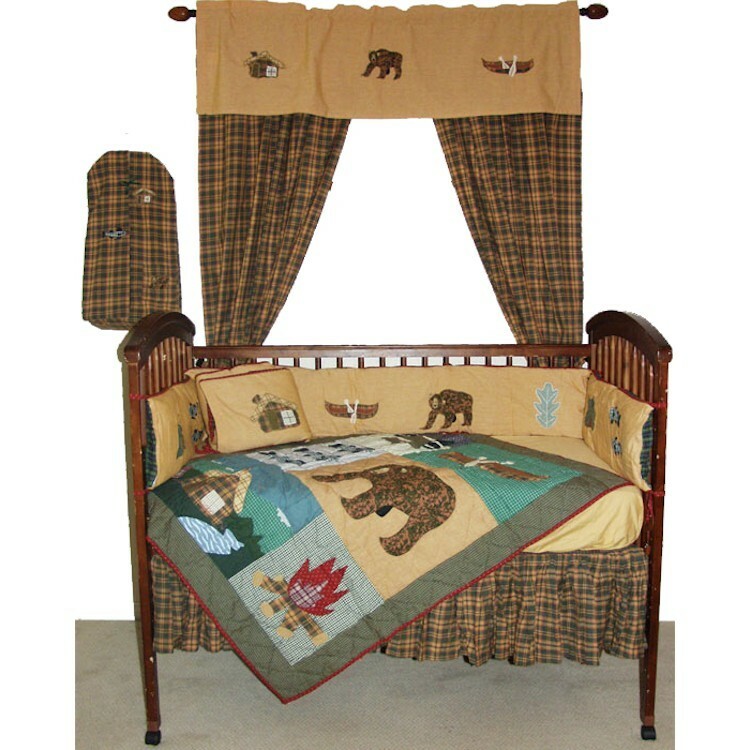 This cabin theme crib set will be the perfect accent to your rustic nursery. A great look for your little boy or girl. Made of cotton plaid with bear and other nature applique. This colorful quilt is accented with a sage border and bound in maroon. The bedskirt and reverse side of bumper pads is a harvest gold plaid that includes sage and forest green, navy blue and true red.